The year was 1730 and it was a dangerous time to be in France. Fifty years before, the Edict of Nantes guaranteeing freedom of religion to Huguenots had been revoked and Roman Catholicism had been reinstated as the only authorized religion. Protestant worship and education were expressly forbidden. Thousands had already fled France to seek freedom and peace in a new distant land. Most had made the long and arduous journey south across the Mediterranean to the tip of Africa settling in Cape Town. But many were not able to leave France. Those that stayed had two options: give up their faith or face the penalties imposed for practicing their faith – imprisonment, death, or life as a galley slave. Before the Edict of Nantes, Protestantism had flourished. French reformers such as Louis De Berquin, Gaspard de Coligny, and Jacques Lefevre had preached reforms, translated the Bible into the French language and upheld the Word of God as the sole authority. But after the Edict of Nantes was revoked, France lost thousands of intelligent and educated citizens as they left France for a country of freedom. Those that remained, were exterminated. The Protestants named the times they lived in as the `Desert`. In the history of French Protestantism, the expression `Desert` defines the period of time between the Revocation of the Edict of Nantes (1685) and the French Revolution (1789). It was during this ‘desert’ period that the Protestants of France were deprived of freedom of worship, meeting far from cities, hidden in isolated areas, deserts (in the wilderness, forests, caves, or gullies…), where they were obligated to live out their faith in hiding. The `desert` title was a reference to the church in the wilderness described in Revelation 12:6. The word ‘Desert’ also had a Biblical sense for them, the 40 years the Hebrew people of Exodus wandered in the desert, a place of tribulations, temptations and despair, but also where they would hear the word of the Lord. Life was not easy. Huguenot families that chose to stay in France lived a life of secrecy, their homes equipped with hiding places for the family Bible and even family members, their children raised with danger and uncertainty constantly hanging over them threatening their future. The king of France pursued with relentless focus the eradication of the Protestant heretics. It was into this perilous time that Marie Durand was born in 1715. Marie`s family chose not to give up their beliefs even if it meant practicing their religion in secret and living in constant peril. When Marie was a young girl, her mother, Claudine, was arrested after attending a secret Protestant service and died shortly thereafter. Marie`s older brother, Pierre, became one of the `pastors of the desert`. These men preached in open fields, caves, and homes to those in exile and in hiding, who continued in defiance of the restrictions placed on them by the French monarchy. Pierre Durand was wanted by the government for his subversive activity. Unable to lay hands on Pierre, officials arrested Marie`s father in 1728. Before he was taken to prison, Ėtienne Durand married his young daughter at the age of 13 to Matthew Seres, hoping that she would be protected by this move. 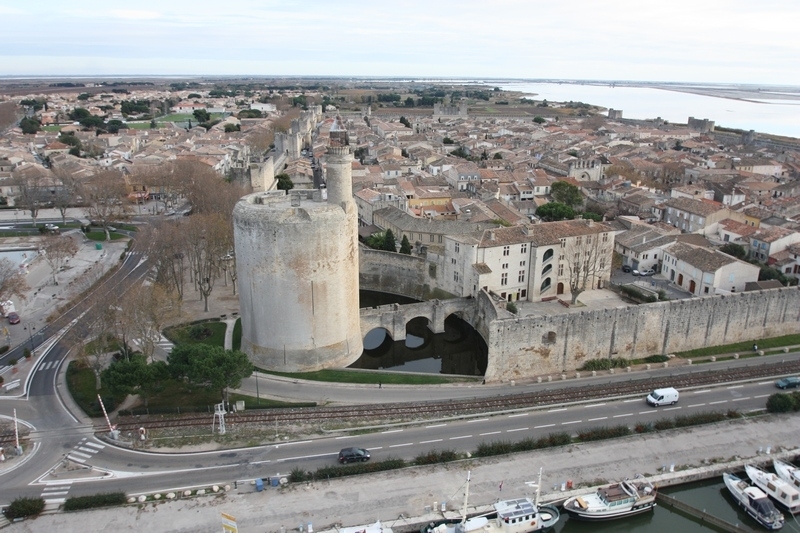 The plan failed when in 1730, at the age of fifteen, Marie Durand was arrested and taken from her home in Bouchet-de-Pransles to the Tower of Constance to be used as bait to capture her Protestant brother. Her husband, Matthew was soon imprisoned along with her father in the fort. Pierre was told that if he gave himself in, his sister and father would be freed. In 1732, Pierre was captured and hanged. The Tower of Constance, located on swampy land near the Rhone River and not far from the Mediterranean Sea, was built by Duke Philip the Bold, its architecture designed to imitate Jerusalem architecture. The stronghold also served as a lighthouse, with a lantern in the top-most tower, and was known as `the beacon of Charlemagne`. During the French Civil Wars between the Protestants and Catholics following the Reformation, the tower had fallen into Protestant control But in 1632, Louis XIII regained control of it. King Louis XIV then converted it into a women`s prison. The prisoners were kept in the upper room. A little light and air came through narrow windows. In the center of the floor was an opening onto the guardroom below. When Marie entered the Tower – which was always cold in Winter and hot in summer – she brought her courageous sunny disposition. Her faith would lighten the darkness and despair within. Despite her tender youth, Marie became the Christian focal point of the Tower and an encouragement to the other women with whom she was imprisoned. For 38 years, Marie served as nurse and spiritual leader. She read psalms, encouraged the dying, sang hymns, and prayed daily. She also acted as official correspondant, penning letters for those who could not write, and sending petitions to government officials informing them of the prison`s horrible conditions and petitioning for release and assistance. Many of her letters still exist today. Marie never wavered in her strength or faith. In 1767, Prince de Beauveau, the governor of Languedo, horrified by the conditions the women endured inside the Tower of Constance, ordered their release against the will of Louis XV, and in 1767 Marie and her fellow captives began a new life outside the tower walls. Marie returned to her family home as the sole survivor of the attack mounted against her faith and family. Her father and husband had long been executed. She herself died in 1776, after only 9 years of freedom outside the Tower. What would make a girl, only 15, hold so tenaciously to her faith and resist the pressure and temptation to recant and have a normal life outside the walls of the Tower? All she was required to do by the Catholic authorities was to recant her Reformed faith. Many did so, and immediately went back to their Reformed faith, but Marie would not be dishonest. At any time, she could have given up her faith for a life of sunshine, green grass, hygiene, better food, activity, friendship, and possibly a new marriage and children. Instead she scratched the word “Resist” into the stone walls of a Tower to remind her and all those with her that staying there was of more value than the advantages outside. How many of us hold enough to our faith and beliefs to do the same? Islamic fundamentalists seem to have a faith that doesn’t falter even in the face of a fiery death. Do we have the tenaciousness and conviction to hang on even if everything is taken from us even for the better part of our lives? Our society is not geared for that kind of sacrifice. We live in a world of instant gratification – microwaves, fast foods, credit cards. We wear clothes to fit in, and are upset when someone cuts us off in traffic on our way to work or shopping. There are few limits we experience in our country of freedom. As long as we don’t cheat on our taxes, don’t steal from vendors, show up at our job, and obey the traffic signs, we are free to do as we like. But do we value our freedom? Are we using our time to work for the Lord and are we spending our resources to further His work? Now, as the last golden rays of sunshine slip over the horizon of our earth’s long and tortured history, we still have a few moments in which to share our faith in freedom. We should not miss the opportunity. The work we have neglected to do in a time of prosperity, we will have to do under great trial and peril. What costs us little now, will someday cost us our very lives. Let us not shame the legacy of those that have gone before us and given their lives. Can we do any less in these last moments of history?